Be the first to hear about their new releases and deals. Download the Booksprout app and search for David Beckler today! I write crime thrillers full of fast-paced action. 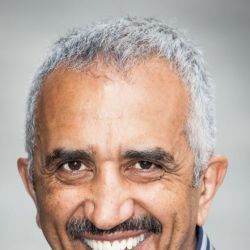 Born in Addis Ababa in 1960, I spent my first eight years living on an agricultural college in rural Ethiopia where my love of reading developed. After dropping out of university I became a firefighter and served 19 years before leaving to start my own business. I began writing in 2010 and use my work experiences to add realism to my fiction. The Mason and Sterling series centre on two ex-Royal Marines, Byron who now runs a security company and Adam who is a firefighter. A strong cast of characters support my protagonists. Sapere Books are publishing Brotherhood, the first novel in the series, in February 2019. I live in Manchester, my adopted home since 1984. In my spare time I try to keep fit—an increasingly difficult undertaking—listen to music, socialise and feed my voracious book habit.